The serum comes in a pretty reflective tube with an pump. The red/gold ombre is very much inspired by the vibrant colors of the pomegranate. 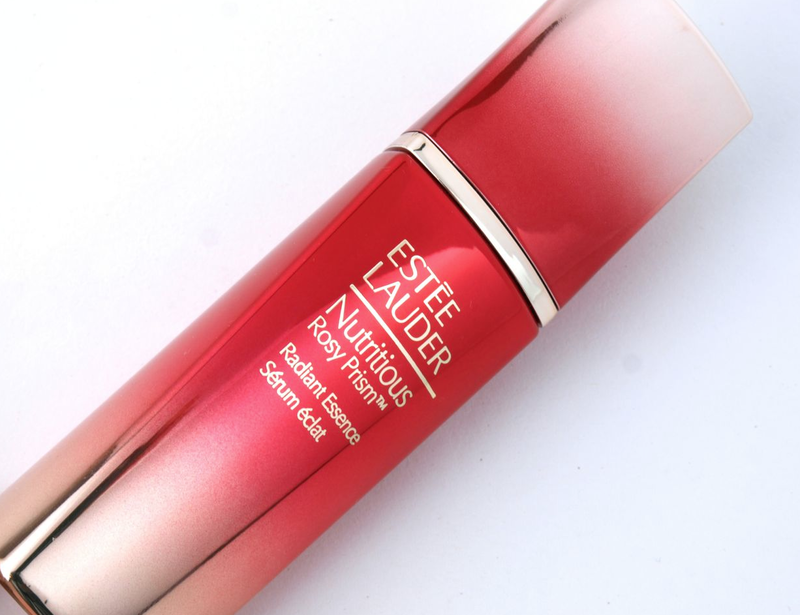 The Nutritious Rosy Prism Radiant Essence is a clear serum with a fruity scent. Infused with pomegranate (rich in antioxidant) and peony extract, the product is very lightweight and absorbs quickly as well. The serum alone is quite moisturizing but it's best when paired with a moisturizer during night time. My mom and I have both been using this serum and we have both noticed that our skin looks more radiant in the morning. The serum really does live up to its promises, making the skin look more plump and youthful. Aside from that, it makes the skin feel more hydrated and nourished. This is definitely a great product from Estee Lauder. The serum makes the skin more radiant and glow-y. I am very curious to see what the rest of the Nutritious Rosy Prism line has to offer! 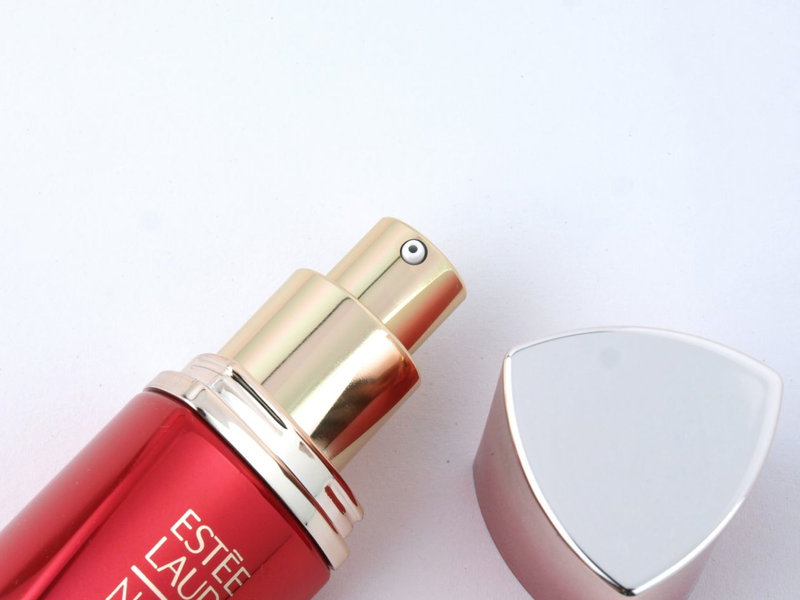 Estée Lauder is available online and in stores at Murale, The Bay and Sephora.